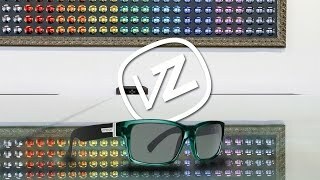 The VonZipper Fulton sunglasses will help you keep your cool with its classic rectangular shape. The frame on the Fulton features a bold build with the make up of nylon Grilamid and stainless steel hinges. Want these Italian, handmade shades in prescription? Let a SportRx optician provide you with the best when they craft your VonZipper Fulton prescription sunglasses.